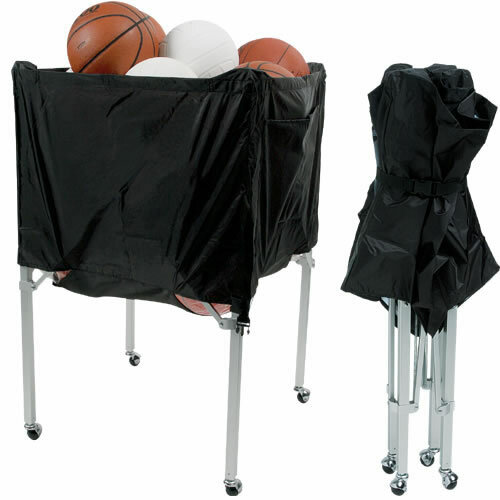 Holds up to 20 basketballs, 30 volleyballs, or a variety of other equipment. Silent, non-marring swivel casters. Folds for easy storage. Aluminum frame, nylon top with mesh bottom bag.